We know it as an airline, record company and the brand that encapsulates many other ventures of founder Richard Branson, but Virgin’s specialist division tasked with developing ground-breaking new transport technologies is coming to our part of the world. More specifically, Virgin Hyperloop One, as it officially called, is to open a research and development centre in Málaga province, where it will become part of a growing number of tech-based start-ups, university-linked research programmes and also branches of international corporations such as Oracle, and now Virgin. Málaga’s technology expertise has long since surpassed regional and even national importance to become one of the leading information technology regions in the country, complete with well-established exchange programmes, incubator processes and joint ventures with leading international knowledge hubs in Europe, the Far East and North America. After Elon Musk, Virgin is now also forging ahead to develop efficient new transport modes that will solve many of our congestion, cost and environmental issues, and hyperloop technology is one of the most exciting options both for long-distance travel and to solve urban overload. “We are trying to create a new form of transport that will change the way in which people are connected and travel; our whole way of life, in other words,” said the company’s Global Marketing and Communication Director, Ryan Kelly, at the recent South Summit 18 conference in Madrid. The technology is also out of the theoretical laboratory stage and being tested on the ground in the USA, but Virgin Hyperloop One intends to build an advanced research and development centre in Málaga, which in their words will make this region “…the epicentre of R&D for Hyperloop in Europe.” Though research is at an advanced stage, much work remains to be done before commercially viable systems can begin to be built on a large scale, but once operational, travel in a Hyperloop pod (cabin) is likely to feel much like that of a high-speed train. The new venture will have no trouble attracting top international researchers and experts to the lifestyle offered in Málaga and the Costa de la Luz, and if all goes well the new centre will not only bring jobs and added prestige and economic diversification to this region, but by the beginning of the next decade could also contribute to this efficient and environmentally sensible form of travel beginning to take root all across the world. If so, the number of qualified staff members could rise significantly from the 250 expected when the test facility in Bobadilla opens by the end of 2019. 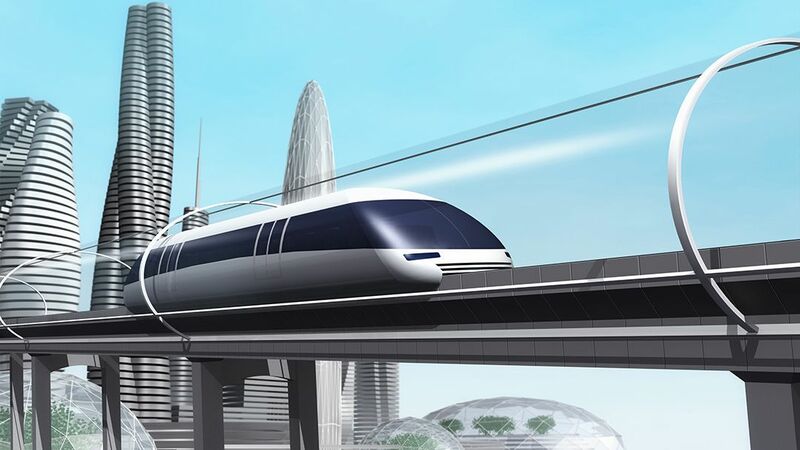 Spain’s expertise in high-speed rail engineering brought the project to Málaga, but this venture could also make Málaga a hub of Hyperloop expertise.